Living in Music City USA has its advantages! 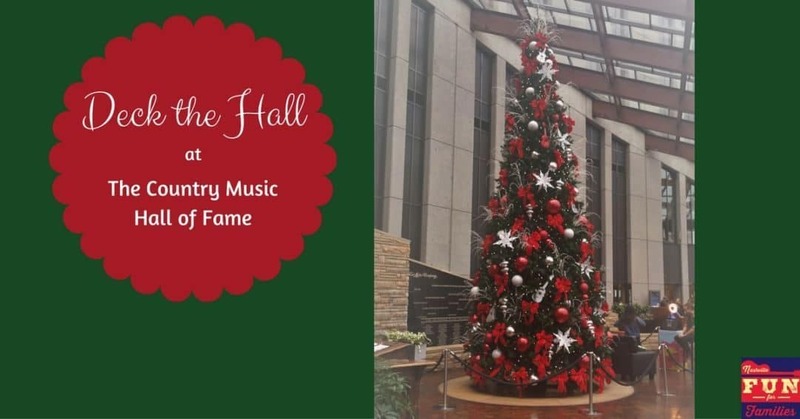 Celebrate the holidays with the Country Music Hall of Fame (CMHOF) and their Deck the Hall concerts, activities and celebrations. There is something for everyone! All events will be at the Country Music Hall of Fame. Here is a MAP and some suggestions for parking. Tracy Lawrence will perform an acoustic concert which will be followed by the lighting of the tree. Take a tour of Historic RCA Studio B and enjoy a holiday concert. Tickets are $25 and can be purchased at this link. Have your picture taken with Santa in the lobby. Photo is free. See the story of how Nashville became Music City told by puppets! Decorate holiday sugar cookies. The museum will provide the cookies, icing and supplies – you provide the creativity!